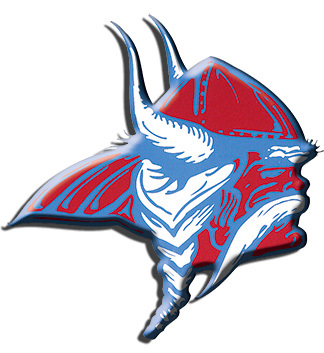 In the first meet of the season, the Decorah boys’ swim team finished second overall at the Cardinal Invite, held at Newton High School Saturday. The young Vikings collected 305 points, finishing a close second to team champion Indianola, who tallied 314 points. Two Vikings — Gus Grimstad and Bradyn Hook claimed individual gold medals in the first races of the season. Grimstad, a sophomore won two gold medals, individually winning the 100 backstroke in 1:04.41. Hook was victorious in the 100 butterfly, stopping the clock in 1:07.29. Grimstad added a runner-up finish to his day in the 200 individual medley, finishing the race in 2:28.94. The pair teamed up with AJ Morrow and Caleb Huebner in the 400 free relay to touch the wall in 4:02.37, good for first place. Touching the wall in 27.36 seconds, senior Christian Johnson garnered silver in the 50 freestyle for the Vikings, while Andrew Heine took second in the 100 butterfly in 1:08.04. The squad’s other runner-up finish came in the 200 free relay as Drew Chamberlain, Heine, Johnson and Hook combined for a time of 1:50.65. Decorah added a trio of bronze finishes to the successful day as Huebner finished the 200 freestyle in 2:19.14 and Chamberlain notched a 400 free third-place finish in 4:49.35. The 200 medley quartet of Grimstad, Morrow, Hook and Johnson finished in 2:00.02 for third place.